Suffolk County Police officers transported Lawrence Ports, 60, of 35 Hemlock Drive, Kings Park, to Stony Brook University Hospital on September 24, 2013. Stony Brook, NY - October 12, 2013 - Suffolk County Police officers transported Lawrence Ports, 60, of 35 Hemlock Drive, Kings Park, to Stony Brook University Hospital on September 24, 2013. Police initially responded to 35 Hemlock Drive after receiving a call that Ports was behaving irrationally. Responding police requested assistance from the Suffolk County Mental Health Mobile Crisis Team and it was determined that Ports should be taken to Stony Brook University Hospital. White at the hospital, Ports became combative and attempted to flee from the officers. The officers restrained Ports, and during the incident Ports suffered a head injury. He was treated at the hospital where he remained until October 11. His condition deteriorated and he was pronounced dead on October 11. 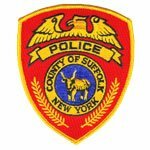 The Suffolk County Police Department has been conducting an investigation into this incident since the date of its occurrence. An autopsy is being conducted by the Suffolk County Medical Examiner’s Office. The investigation is continuing. Subject: LongIsland.com - Your Name sent you Article details of "Man Dies after Struggle with Police"